No, you can't pretend it isn't imminent. Christmas presents for the easy and not-so-easy to buy or make presents for, from nix to empty-the-wallet level. 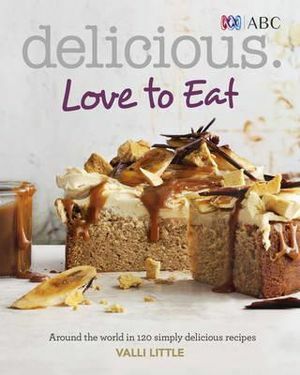 Today, meet "Delicious: Love To Eat" by Valli Little ($33.50 @ Booktopia). I've bought mum subscriptions to Delicious magazine for years and she regularly goes back to the collection for ideas and inspiration. The photography is beautiful, the articles are fab and their books are divine to look through - not flip casually - REALLY take time and joy in. Order before December 10th to ensure pre-Christmas delivery.